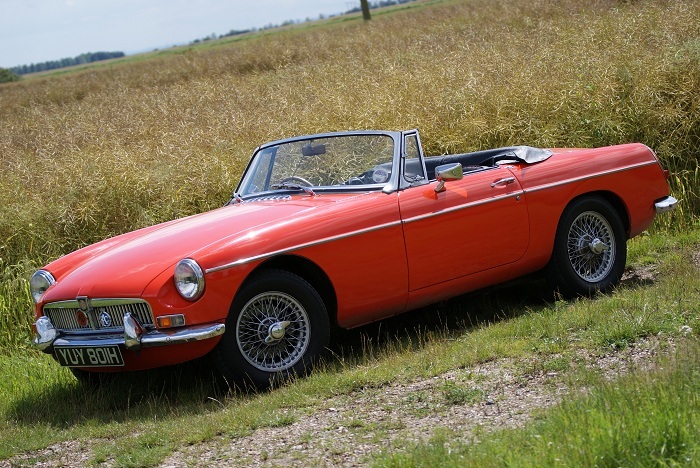 My 1969 MGB, Blaze red (hence the pun), basking in the sun. Taken in the summer-time, around July, I remember the day was sublime. BLAST!! I'm talking in rhyme!